Three exciting televised fights will warm fans up for the long-awaited rematch between future Hall of Famer's Bernard Hopkins and Roy Jones Jr. "The Rivals: Hopkins vs. Jones II" is scheduled for Saturday, April 3 from the Mandalay Bay Events Center in Las Vegas, Nevada and live on pay-per-view. Heading up this stacked pay-per-view undercard will be a 10-round showdown between talented up and comer Jason Litzau and perennial contender Rocky Juarez for Litzau's NABF super featherweight title. Also featured is the return of former Junior Middleweight World Champion Sergio Mora against veteran Calvin Green and unbeaten Ukrainian prospect Ismayl Sillakh steps up to the big time to face 175-pound standout Daniel Judah in another NABF title bout, this time in the light heavyweight division. 26-year old Jason Litzau (26-2, 21 KO's) first arrived on the world scene a few years ago with a series of exciting televised performances that captivated fight fans. These victories led him to a world featherweight title shot against Robert Guerrero in 2008 and though "The American Boy" fell short of victory, he refused to get discouraged. He has since won three in a row at 130 pounds, leading him to this pivotal April 3 showdown against Rocky Juarez. One of the top contenders of recent years, 2000 Olympic Silver Medalist Rocky Juarez (28-5-1, 20 KO's) is returning to the 130-pound weight class after a 2009 return to featherweight and two hard-fought battles with WBA 126-pound champ Chris John. In Juarez' last bout at super featherweight, he stopped Jorge Rodrigo Barrios in 11 rounds in September of 2008 and the Houston native plans on picking up where he left off at 130 pounds when he takes on Jason Litzau. Known to fight fans as "The Latin Snake", Sergio Mora (21-1-1, 5 KO's) became a household name to millions of fans when he won the first season of the reality series "The Contender" in 2005. Following the series, he went unbeaten in his next five fights, leading to a shot at the junior middleweight world title which he capitalized on as he won a hard-fought 12-round decision over the late Vernon Forrest. 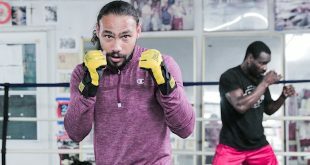 Three months later, Forrest would win his belt back in an exciting rematch, but the 29-year-old Mora has been eagerly awaiting his return since then, as he's ready to make his move towards winning a title again in 2010. Mora will face Baytown, Texas' Calvin Green (21-4-1, 13 KO's) who has won three out of his last four bouts and is looking to derail the world title track on which Mora is heading with an upset on April 3. A gifted amateur standout who is now making huge strides towards professional gold, 25-year-old Ukraine native Ismayl Sillakh (11-0, 10 KO's) is on the fast track to the top. 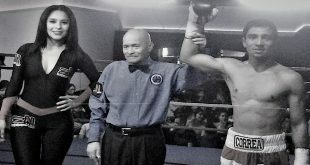 Unbeaten as a professional, Sillakh is currently on a seven-fight knockout streak. 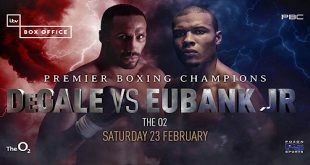 One fighter who won't be intimidated by this impressive record, is Brooklyn southpaw Daniel Judah (23-4-3, 10 KO's). Judah has been in with some of the best fighters in the world over the course of his career, including Glen Johnson, Yusaf Mack and Eric Harding, and he will be looking to show the young Sillakh that he has some more tricks up his sleeve on fight night. The Hopkins vs. Jones II pay-per-view telecast begins at 9 p.m. ET/6 p.m. PT and has a suggested retail price of $49.95. The telecast will be available in HD-TV for those viewers who can receive HD. The main event will begin live immediately following the college basketball semi-finals. 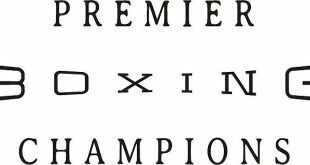 "The Rivals: Hopkins vs. Jones II," set for Saturday, April 3 at the Mandalay Bay Events Center in Las Vegas, Nev., is promoted by Golden Boy Promotions and Square Ring Promotions and sponsored by Cerveza Tecate, AT&T and Southwest Airlines. The event will be broadcast live on pay-per-view beginning at 9 p.m. ET/6 p.m. PT. Tickets priced at $750, $500, $300, $200 and $100 are on sale now at all Las Vegas Ticketmaster locations (select Smith's Food and Drug Centers and Ritmo Latino). Ticket sales are limited to eight (8) per person. To charge by phone with a major credit card, call Ticketmaster at (800) 745-3000. Tickets also will be available for purchase at www.mandalaybay.com or www.ticketmaster.com.